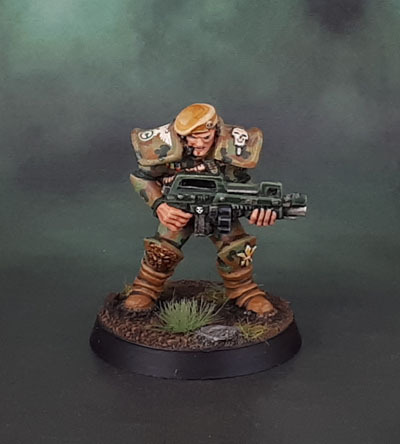 WarZone 1st Edition: Edward S. Murdoch – Imperial Golden Lion Hero | Azazel's Bitz Box. I’m back to posting. Today’s model is one of my old 1st edition WarZone models. I actually updated this guy last month and even included him in the monthly round-up, but I somehow forgot to give him his own post at the time. Yeah, I’ve been real tired. Anyway, this model is a named hero from the Imperial (British-themed) faction. This guy is Edward S. Murdoch – Imperial Golden Lion Hero. He’s apparently an ex-Blood Beret (Not-Parachute Regiment, I guess) who is now a Golden Lion. To be quite honest, I don’t remember enough else about the minutia of the WarZone background to go into more detail – and besides, it’s not important here. This shot shows off the unit markings I added (via decals) to 40k-ify him. Aside from those and replacing his sword, the model is stock. The figure was painted way back in either the mid-late 1990s’ to the mid-2000’s (I can’t remember) so all I’ve really done here last month is a touch-up on a few parts to repair a bit of scuff, and rebasing him on a 32mm, which suits a figure of his stature much better than the 25mm base ever did. 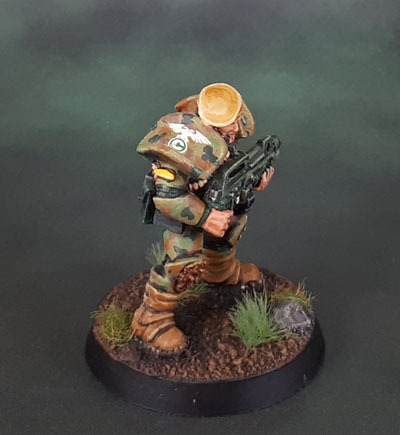 This entry was posted in Sci-Fi Gaming, Warzone and tagged Edward S Murdoch - Imperial Golden Lion Hero, Heartbreaker Hobbies, WarZone 1st Edition. Bookmark the permalink. Thanks Alex! I should really try to get around to reorganising my already-painted Imperial Guard properly sometime. Auscam out the wazoo there! Maybe even… I dunno… try to play some games? Good to see you posting again mate. Burn out whatever the cause comes to us all. Resting up is of course the cure in most cases. Rather see you post less regularly than not at all! Oh, and another fine figure by the way! It’s been like a meta-project this year of just trying to get as much stuff as possible done. Maybe next year I should properly focus on just a couple of armies and everything else can be extras…? Like Alex said mate you seem to have really turned up the gas this year. Your output is incredible so nothing wrong with taking a breather. I’ve had guests but I’ve also felt a bit of a lull myself to be honest. Love the auscam on the mini mate. Thanks mate! I’ve got a few posts lined up, so depending on how many I can write up tomorrow (within an hour, today is going to be flat out until midnight or later) I’ll have a few days off from needing to blog again. I guess I can stretch that out if I schedule the posts for every two days instead of each day… I’ll probably do that. It’s easy to lose a passion for something when you are getting burnout. Book a blog vacation? A mini one, maybe. Tomorrow I’ll try to get a few posts written up to drip out, then go back to sleep! You’re very right, Roger. It’s finding the balance between being disciplined enough to keep getting stuff finished (and posted up) and not letting it all slide for weeks or months. I typically hit a wall around this time of year (Sept-Nov) so it’s no surprise that it’s hitting me now since I’ve been going at it harder than ever before this year. Looks good. I know I’d be inclined to follow orders coming from a dude who looked like that! Take care of yourself. A bit of a hiatus in the posting is better than losing a blog like this permanently because you pushed too hard while burnt out and it ended up permanent. Again, you’re very right, Alexis. The main reason I’ve been going through these long periods of posting daily has been because I’ve had a lot done, and I prefer to give each model or group of models it’s own (brief) moment in the sun rather than always holding them back until I have a unit done, or writing up posts about entirely different things. I mean, I saved the Mantic stuff until I had a worthwhile amount, because who wants to read a post about three crates, but when you’re talking about stuff like the beastmen – who knows when I’ll finish, let alone photograph the others…? Great work on him- the spruce up job has definately brought him up to date. Really like this guy, he absolutely looks the part, well done! I think if anyone deserves a break from blogging and painting minis it’s you though, so try and chill! Nice work on this guy. You always represent well with your Auscam. Just catching up on my blog stuff too, so do understand that burnout is a real thing, but as Roger says, it’s not a job it’s a hobby! Our summer is winding down, so now we’re headed for Stark weather (every New Englander knows well that winter is always coming). Which means more time and motivation for hobbies. I wonder if it’s the reverse for you Southern Hemisphere dudes as far as that goes? Thanks Mark. I’m not sure, honestly. 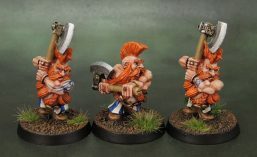 I find our nicer weather is better for hobbies – more good quality natural light, longer days, time off work… what could be better for hobbying? Great stuff. The auscam looks good; instantly recognisable, at least to a fellow Aussie. Would love to see some more of your IG auscam stuff. Hopefully things get better with your work life balance soon! Glad to have you back too. Blogging motivation is such an odd beast – what gives you a lot of energy can sometimes sour and leave you feeling deflated. Personally I’ve found that relaxing the blogging schedule when other things are going on in life works a treat. 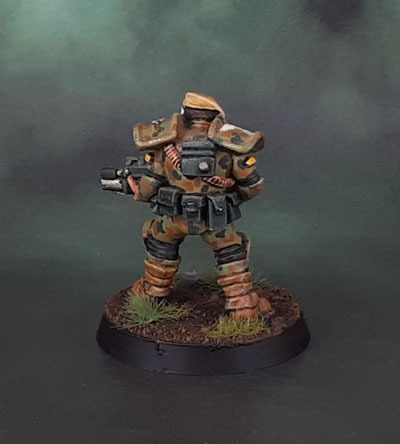 Lovely work on the Murdoch camo. I wonder if there was a meta-reason he became a Golden Lion, like the sculpt was reassigned as being Edward Murdoch at the last minute or something? Who knows. He was an odd miniature at the time for a character, so similar to the basic trooper. Could well be? I wasn’t hugely into the Lore of Mutant Chronicles or WarZone, even back in the day. (And I played Cybertronic anyway) So I’m pretty clueless on that stuff. The main drains on my blogging energy is trying to keep up with all of the blogs I now follow, and, frankly, work being very demanding much of the time, leaving me with little energy ad fewer fucks to give. Doesn’t help really that blog time = painting time = videogame time, so being a zero sum game, most of the time I’d rather be painting. But then I find the feedback from the blog to be great encouragement and motivation, so it’s a tricky balance.